The PPR virus, commonly known as goat plague, swept across southern Ethiopia and northern Kenya in 2008; Mohammed Noor lost 20 goats in the just one week and wondered how he would provide for his family (photo on Flickr by EC/ECHO/Daniel Dickinson). Assembling for two days this week (29–30 Apr 2013) in Nairobi, Kenya, are members of a global alliance against ‘peste des petits ruminants’, abbreviated as ‘PPR’ and also known as ‘goat plague’ and ‘ovine rinderpest’. Co-hosting this second meeting of the Global Peste de Petits Ruminants (PPR) Research Alliance (hereafter referred to as GPRA) are the International Livestock Research Institute (ILRI), which is headquartered in Nairobi; the Biosciences eastern and central Africa-iLRI hub (BecA-ILRI Hub), hosted and managed by ILRI; the African Union-Interafrican Bureau for Animal Resources (AU-IBAR), also based in Nairobi; and the Australian Agency for International Development (AusAID). Among the 70 or so people attending are representatives from the Bill & Melinda Gates Foundation (BMGF, Yi Cao), the Global Alliance for Livestock Veterinary Medicines (GALVMed, Bapti Dungu), the International Atomic Energy Agency (IAEA, Adama Diallo), the Pan African Veterinary Vaccine Centre (PANVAC), the Royal Veterinary College of the University of London Vet School (RVC), the United Nations Food and Agriculture Organization (FAO, Vincent Martin and Robert Allport, among others), the World Organisation for Animal Health (OIE, Jemi Domenech and Walter Masiga) and a range of national research institutions from developing countries where the disease is endemic. What’s this alliance all about? The GPRA is a participant-owned network of researchers and development professionals with an interest in the progressive control of PPR. The GPRA was inaugurated in 2012 at a meeting in London. GPRA aims to provide scientific and technical knowledge towards methods for the detection, control and eradication of PPR that are economically viable, socially practical and environmentally friendly. Why, and how much, does PPR matter? Infectious diseases remain the major limitation to livestock production globally and are a particular scourge in the developing world, where most of the world’s livestock are raised. Diseases not only kill farm animals but also cause production losses and hinder access to potentially high-value international livestock markets. PPR, an infectious viral disease of sheep and goats, poses a major threat to the livelihoods of smallholder farmers in Africa as well as the Middle East and India. The disease is highly contagious, and has roughly an 80 per cent mortality rate in acute cases. The impacts of PPR, which is closely related to rinderpest in cattle, have been expanding in recent years. At least 15 million sheep and goats are at risk of death from the disease in Kenya alone and the estimated economic impact of current PPR outbreaks—including production losses and disease control costs for Africa—is more than US$147 million per year. A recent outbreak of PPR in the Marakwet and Baringo districts of Kenya destroyed more than 2000 herds, with the disease spreading in days and farmers losing some KShs6 million (about US$70,000) to the disease over about three months. PPR is probably the most important killer of small ruminant populations in affected areas and some 65 per cent of the global small ruminant population is at risk from PPR. Over the last several years, international experts and national authorities have both been increasingly prioritizing the progressive control of PPR, with the first phase designed to contribute to the long-term goal of eradication. Donor interest in this research and development area quickly ramped up over the past year. 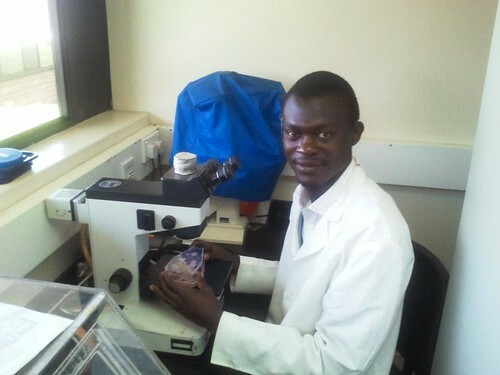 A current AusAID-funded project being conducted under a partnership between the BecA-ILRI Hub and Australia’s Commonwealth Scientific, Industrial and Research Organisation (CSIRO) has supported development of a thermostable vaccine now being piloted in vaccination campaigns in Sudan and Uganda, with similar work proposed for Ethiopia. Collins Owino, an ILRI research technician working on vaccines and diagnostics in the peste des petits ruminants (PPR) project (photo credit: ILRI/Evelyn Katingi). There is a growing recognition of the need for, and potential benefits of, a coordinated approach to the progressive control of PPR. The disease is now one of the high priorities of AU-IBAR, FAO and OIE, all of which have strong networks and expertise to offer the alliance. The role of the Global PPR Research Alliance as a network of research and development organizations is to develop a coordinated strategy to contribute to the progressive control of PPR. The Australian Government, together with AU-IBAR and ILRI, is supporting the second meeting of the GPRA to advance with many other stakeholders progressive global control of PPR, particularly through collaborative research. The GPRA supports the sharing of relevant information and results, the establishment of productive working relationships among stakeholders, the establishment of research and development projects of interest to some or all members, and the closer linking of strategic plans of all stakeholders in better control of this disease. Is progressive eradication of PPR possible? The existence of vaccines and diagnostics considered sufficient to initiate the program; the current vaccines (based on the strain Nigeria 75/1) are safe, efficacious and provide life-long immunity. The Australian Government via AusAID has funded development at ILRI of thermostable formulations of the PPR vaccine that provide a level of stability in the field as high as that demonstrated in the vaccine used to eradicate rinderpest. The project team has demonstrated that the PPR vaccine can be stored without refrigeration for extended periods of time without significant loss in viability. This is a crucial and significant success. Under the guidance of ILRI senior scientist Jeff Mariner and with the assistance of Australia’s CSIRO and BecA-ILRI Hub staff, the project team have developed strong links with AU-IBAR’s Henry Wamwayi, a senior member of his organization seconded to the PPR project. 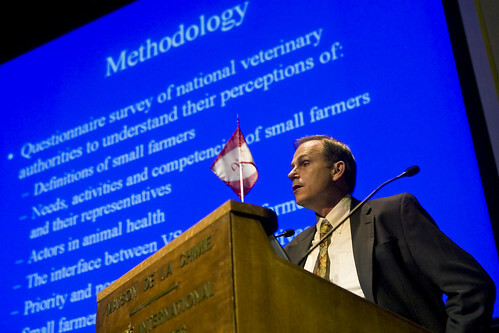 ILRI veterinary epidemiologist Jeff Mariner presenting lessons learned from work to eradicate rinderpest at a meeting of the World Animal Health Organisation (OIE) (photo credit: OIE). The project has built on lessons learned from the recent global eradication of rinderpest, which depended on two equally important breakthroughs for its success: development of an effective thermostable vaccine and effective vaccine delivery networks in remote as well as other regions. 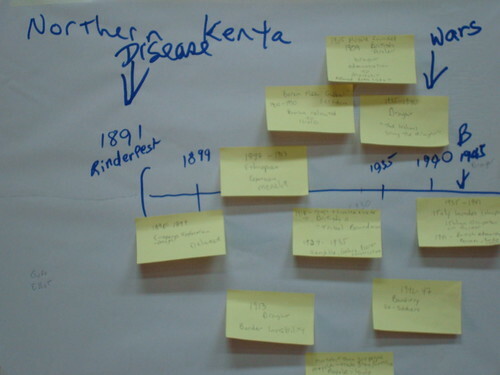 The next 12 months of the PPR research project will focus on testing the vaccine and delivery strategies in South Sudan and Uganda. Staff will assess in the field just how effective the vaccine is in controlling PPR infections. They’ll also investigate some practical incentives for encouraging livestock owners and livestock service delivery personnel to participation in PPR control programs. And they’ll look into ways to build and enhance public-private community partnerships to deliver the PPR vaccine. Read more in the ILRI News Blog and science journals about the close connections between the eradication of rinderpest and this new battle against PPR—and the role of ILRI’s Jeff Mariner in development of thermostable vaccines necessary to win the battle against both diseases. 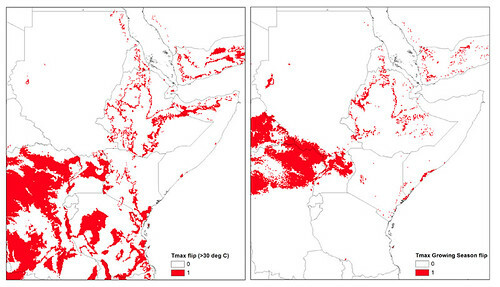 Rinderpest: Scourge of pastoralists defeated, at long last, by pastoralists, 18 Sep 2012. New analysis in ‘Science’ tells how the world eradicated deadliest cattle plague from the face of the earth, 13 Sep 2012. 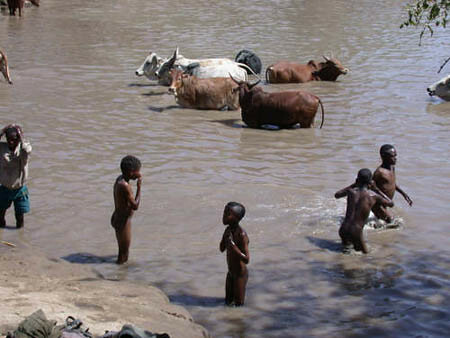 Deadly rinderpest virus today declared eradicated from the earth—’greatest achievement in veterinary medicine’, 28 Jun 2011.
Who eats better, pastoral children in mobile herding or settled communities? (answer: mobile). Which kind of tropical lands are among those most at risk of being grabbed by outsiders for development? (rangelands). Are pastoral women benefitting at all from recent changes in pastoral livelihoods? (yes). Which region in the world has the largest concentration of camel herds in the the world? (Horn of Africa). Where are camel export opportunities the greatest? (Kenya/Ethiopa borderlands). Is the growth of ‘town camels and milk villages’ in the Somali region of Ethiopia largely the result of one man’s (desperate) innovation? (yes). Which is the more productive dryland livestock system, ranching or pastoralism? (pastoralism). Is irrigation involving pastoralists new? (no). Are we missing opportunities to make irrigated agriculture a valuable alternative or additional livelihoods to pastoralism? (perhaps). The answers to these and other fascinating questions most of us will never have thought to even ask are found in a new book, Pastoralism and Development in Africa: Dynamic Change at the Margins, edited by Andy Catley, of the Feinstein International Center, at Tufts University; Jeremy Lind, of the Institute of Development Studies at the University of Sussex and Future Agricultures Consortium; and Ian Scoones, of the Institute of Development Studies, the STEPS Centre and the Future Agricultures Consortium. Published in 2012, it includes a chapter by scientists at the International Livestock Research Institute (ILRI): Climate change in sub-Saharan Africa: What consequences for pastoralism? Thirty-six experts in pastoral development update us on what’s so in pastoral development in the Greater Horn of Africa, highlighting innovation and entrepreneurialism, cooperation and networking and diverse approaches rarely in line with standard development prescriptions. The book highlights diverse pathways of development, going beyond the standard ‘aid’ and ‘disaster’ narratives. The book’s editors argue that ‘by making the margins the centre of our thinking, a different view of future pathways emerges’. 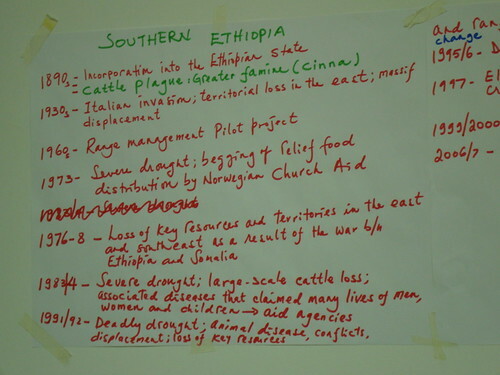 Contributions to the book were originally presented at an international conference on The Future of Pastoralism in Africa, held at ILRI’s campus in Addis Ababa, Ethiopia, in Mar 2011. Here are a few of the book’s ‘unstandard’ ways of looking at pastoralism. One of the book’s chapters is on Climate change in sub-Saharan Africa: What consequences for pastoralism? It was written by ILRI’s Polly Ericksen (USA), whose broad expertise includes food systems, ecosystem services and adaptations to climate change by poor agricultural and pastoral societies; and her ILRI colleagues Jan de Leeuw (Netherlands), an ecologist specializing in rangelands (who has since moved to ILRI’s sister Nairobi CGIAR centre, the World Agroforestry Centre); Mohammed Said (Kenyan), an ecologist specializing in remote sensing and community mapping; Philip Thornton (UK) and Mario Herrero (Costa Rica), agricultural systems analysts who focus on the impacts of climate and other changes on the world’s poor countries and communities; and An Notenbaert (Belgium), a land use planner and spatial analyst. The ILRI scientists argue that if we’re going to find ways to adapt to climate change, we’re going to need to learn from pastoralists — who, after all, are demonstrably supreme managers of highly variable climates in addition to rapidly changing social, economic and political contexts — about how to make sustainable and profitable, if cyclical and opportunistic, use of increasingly scarce, temporally erratic and spatially scattered water, land, forage and other natural resources. Because ‘the more arid a pastoral environment, the less predictable the rainfall’, and because ‘vegetation growth closely follows rainfall amount, frequency and duration, . . . the primary production of rangelands is variable in time and space’, with the primary driver of this variability in livestock production in pastoral areas being the availability or scarcity of forages for feeding herds of ruminant animals (e.g., cattle, sheep, goats, camels). In severe or prolonged droughts, forage and water scarcity become a lethal combination, killing animals en masse. The authors quote former ILRI scientist David Ndedianye, a Maasai from the Kitengela rangelands in Nairobi’s backyard, and other ILRI colleagues who report in a 2011 paper on pastoral mobility that pastoral livestock losses in a 2005 drought in the Horn were between 14 and 43% in southern Kenya and as high as 80% in a drought devastating the same region in 2009. It may take four or five years for a herd to recover after a major drought. Maps of a flip in temperatures above 30 degrees C. Left: Threshold 4 — maximum temperature flips to greater than 30°C. Right: Threshold 5 — maximum temperature in the growing season flips to greater than 30°C. Map credit: Polly Ericksen et al., Mapping hotspots of climate change and food insecurity in the global tropics, CGIAR Research Program on Climate Change, Agriculture and Food Security (CCAFS), 2011. Evidence from a range of modelling efforts was used by the authors to calculate places in the global tropics where maximum temperatures are predicted to flip from less than 30 degrees C to greater than 30 degrees C by 2050. This temperature threshold is a limit for a number of staple crops, including maize beans and groundnut. Heat stress also affects grass and livestock productivity. Large areas in East African may undergo this flip, according to these models, although the authors warn that these predictions remain highly uncertain. Thornton and Herrero in a background paper to the World Bank’s 2010 World Development Report investigated the impacts of increased drought frequency on livestock herd dynamics in Kenya’s Kajiado District. ‘Their results indicate that drought every five years keeps the herds stable as it allows sufficient time for the herds to re-establish. A once in three year drought interval by contrast drives livestock density to lower levels . . . . Hence, if there is a greater frequency of drought under climate change, this might have a lasting impact on stocking density, and the productivity of pastoral livestock systems. In the face of changes in climate (historical and current), many pastoralists will change the species of animals they keep, or change the composition of the species in their herds. In the space of three decades (between 1997/8 and 2005–10) in Kenya, for example, the ratio of shoats (sheep and goats) to cattle kept increased significantly. Goats, as well as camels, are more drought tolerant than cattle, and also prefer browse to grasses. While change is and always has been fundamental to pastoralist livelihood strategies, much more—and much more rapid and diverse—change is now sweeping the Horn and many of the other drylands of the world, with local population explosions and increasing rangeland fragmentation and civil conflicts coming on top of climate and other global changes whose nature remains highly uncertain. New threats are appearing, as well as new opportunities. Support for the conference and book came from the UK Department for International Development, the United States Agency for International Development in Ethiopia, and CORDAID. 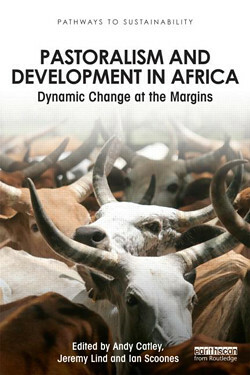 Purchase the book from Routledge (USD44.96 for the paperback edition): Pastoralism and Development in Africa: Dynamic Change at the Margins, first issued in paperback 2012, edited by Andy Catley, Jeremy Lind and Ian Scoones, Oxon, UK, and New York: Routledge and Earthscan, 328 pages. You’ll find parts of the book available on Google books here. To read the ILRI chapter—Climate change in sub-Saharan Africa: What consequences for pastoralism?, by Polly Ericksen, Jan de Leeuw, Philip Thornton, Mohammed Said, Mario Herrero and An Notenbaert—contact ILRI communications officer Jane Gitau at j.w.gitau [at] cgiar.org. Herder boys and cattle both cool their bodies in the midday heat in the Awash River in Ethiopia’s Oromia Region, posing health problems for people at such shared livestock watering sites (photo credit: ILRI). 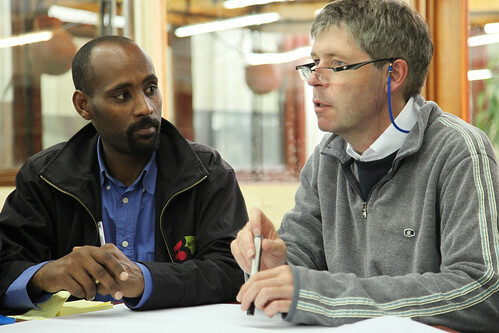 Ten years ago, scientists at the International Livestock Research Institute (ILRI) and the International Water Management Institute (IWMI) established a partnership centred at ILRI’s campus in Addis Ababa, Ethiopia. The partnership was formed to address widespread concerns that livestock consume excessive amounts of water and that livestock keeping is a major cause of water degradation. A statistic commonly reported, and believed, was that producing one kilogram of meat required 100,000 litres of water, mainly for production of livestock feed, in contrast to less than 3000 litres needed to grow most crops. The ILRI-IWMI partners believed that these statements were neither sufficiently nuanced to note huge differences in the world’s livestock systems nor grounded in good science. But it was clear to them that if the figures were true, they needed to find ways to reduce livestock use of water resources and if the figures were not true, they needed to determine accurate estimates of water use. They were fortunate to be welcomed into the CGIAR Challenge Program on Water and Food (CPWF) and the CGIAR Comprehensive Assessment of Water and Agriculture, both of which enabled the new partners to pursue research on what was quickly termed ‘livestock water productivity’ in an African context. Many unanswered questions remain, but the following consensus emerged from the ILRI-IWMI partnership. 1. African beef production typically uses one-tenth to one-fifth the amount of water used in industrialized countries and livestock systems; 11,000–18,000 litres of water are used to produce one kilogram of beef in Africa compared to the 100,000 litres for beef production that is so often reported (see above). It is clear that industrialized livestock production systems tend to use vastly more water per unit of beef produced than Africa’s livestock keepers, who typically integrate their raising of beef stock with food cropping on small plots of land, where the livestock enhance the cropping (e.g., via manure for fertilizing the soils and draught power for ploughing the land) and the cropping enhances the livestock (e.g., via the residues of grain crops used to feed the farm animals). 2. Because cattle and other livestock serve and benefit the world’s poor farmers in many ways, with meat being only one benefit that usually comes after an animal has served a long life on a farm, the water used in African smallholder livestock production systems generates many more benefits than meat alone. 3. Over the preceding half a century, much research had been conducted to increase crop water productivity, but virtually none to increase livestock water productivity. This dearth, along with the high and rising value of many animal products, suggests that returns on investments made to develop agricultural water resources for crops will be much greater if livestock are integrated in the cropping systems and factored into the water equations. 4. Finally, there still remains much room to increase livestock water productivity in Africa’s small-scale livestock production systems. Four strategies for doing this are outlined below and are included in a book that was launched earlier today in Addis Ababa. But before we get to that press release, listen for a moment to Don Peden, a rangeland ecologist who led this research at ILRI for many years and who says the IWMI-ILRI partnership ‘was an extraordinary example of the potential for inter-centre collaboration. I often think the partnership was as important as the research products it generated’, says Peden. ‘Many people and institutions helped make our collaborative work on water and livestock succeed. First on the list is Doug Merrey. Many of the CPWF staff made huge contributions and provided outstanding encouragement. There are too many to mention, but they include Jonathan Woolley, Alain Vidal, Seleshi Bekele, David Molden and Simon Cook. ‘We also owe a great debt to many of our partners’, Peden goes on to say. ‘This includes professors (the late) Gabriel Kiwuwa, David Mutetitka and Denis Mpairwe from Makerere University as well as Hamid Faki from Sudan’s Agricultural Research Corporation. And special mention should be made about Shirley Tarawali, now serving as ILRI’s director for Institutional Planning, who provided day-to-day encouragement and support throughout the project and made a tremendous contribution. And we also had a unique research team in ILRI’s People, Livestock and the Environment Theme that made successes possible. 5 key messages regarding livestock and water—excerpted in full from the livestock chapter in the new—book follow. (1) ‘Domestic animals contribute significantly to agricultural GDP throughout the Nile Basin and are major users of its water resources. 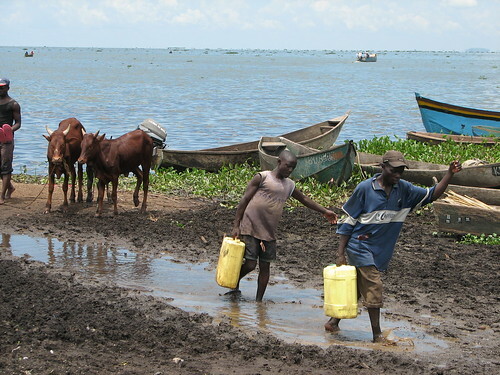 However, investments in agricultural water development have largely ignored the livestock sector, resulting in negative or sub-optimal investment returns because the benefits of livestock were not considered and low-cost livestock-related interventions, such as provision of veterinary care, were not part of water project budgets and planning. Integrating livestock and crop development in the context of agricultural water development will often increase water productivity and avoid animal-induced land and water degradation. . . .
‘d) optimally balancing the spatial distributions of animal feeds, drinking water supplies and livestock stocking rates across the basin and its landscapes. . . .
(3) ‘Suites of intervention options based on these strategies are likely to be more effective than a single-technology policy or management practice. Appropriate interventions must take account of spatially variable biophysical and socio-economic conditions. . . .
(4) ‘For millennia, pastoral livestock production has depended on mobility, enabling herders to cope with spatially and temporally variable rainfall and pasture. Recent expansion of rain-fed and irrigated croplands, along with political border and trade barriers has restricted mobility. Strategies are needed to ensure that existing and newly developed cropping practices allow for migration corridors along with water and feed availability. Where pastoralists have been displaced by irrigation or encroachment of agriculture into dry-season grazing and watering areas, feeds based on crop residues and by-products can offset loss of grazing land. . . . 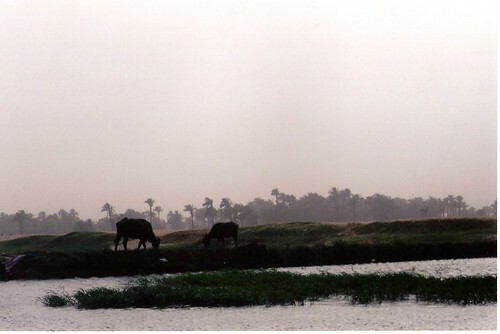 Cows on the banks of the Nile (in Luxor, Egypt) (photo on Flickr by Travis S). Now (finally) on to that press release. ILRI livestock feed specialist Alan Duncan (right), joint Basin leader of the Nile Basin Development Challenge Programme, participated in a news conference today in Addis Ababa launching a new study on the Nile Basin and poverty reduction (photo credit: ILRI/Zerihun Sewunet). As planetary emergencies go, finding ways to feed livestock more efficiently, with less water, typically do not find their way into ‘top ten’ lists. But today that topic was part of a discussion by a group of experts gathered in the Hilton Hotel in Addis Ababa, Ethiopia, to highlight the Nile River Basin’s potential to help 90 million people lift themselves and their families out of absolute poverty. Despite attempts to cooperate, the 11 countries that share the Nile river, including a new nation, South Sudan, and the drought-ridden Horn of Africa, often disagree about how this precious and finite resource should be shared among the region’s some 180 million people—half of whom live below the poverty line—who rely on the river for their food and income. But a new book by the CPWF argues that the risk of a ‘water war’ is secondary to ensuring that the poor have fair and easy access to the Nile. It incorporates new research to suggest that the river has enough water to supply dams and irrigate parched agriculture in all 11 countries—but that policymakers risk turning the poor into water ‘have nots’ if they don’t enact efficient and inclusive water management policies. The authors of the book, The Nile River Basin: Water, Agriculture, Governance and Livelihoods, include leading hydrologists, economists, agriculturalists and social scientists. This book is the most comprehensive overview to date of an oft-discussed but persistently misunderstood river and region. To discuss the significance of the findings in the book were Seleshi Bekele Awulachew, a senior water resources and climate specialist at the United Nations Economic Commission for Africa; Simon Langan, head of the East Africa and Nile Basin office of IWMI; and Alan Duncan, a livestock scientist at ILRI. Drawing water from the Nile (photo on Flickr by Challenge Program on Water and Food). There is enough water in the Nile basin to support development, but small farmers are at risk of being marginalized, says the new book, which finds that the Nile River, together with its associated tributaries and rainfall, could provide 11 countries—including a new country, South Sudan, and the drought-plagued countries of the Horn of Africa—with enough water to support a vibrant agriculture sector, but that the poor in the region who rely on the river for their food and incomes risk missing out on these benefits without effective and inclusive water management policies. The Nile River Basin: Water, Agriculture, Governance and Livelihoods, published by CPWF, incorporates new research and analysis to provide the most comprehensive analysis yet of the water, agriculture, governance and poverty challenges facing policymakers in the countries that rely on the water flowing through one of Africa’s most important basins. The book also argues that better cooperation among the riparian countries is required to share this precious resource. This book will change the way people think about the world’s longest river’, said Vladimir Smakhtin, water availability and access theme leader at IWMI and one of the book’s co-authors. Agriculture, the economic bedrock of all 11 Nile countries, and the most important source of income for the majority of the region’s people, is under increased pressure to feed the basin’s burgeoning population—already 180 million people, half of which live below the poverty line. According to the book, investing in a set of water management approaches known as ‘agricultural water management’, which include irrigation and rainwater collection, could help this water-scarce region grow enough food despite these dry growing conditions. Lack of access to water is another area that could negatively impact the poor, according to the book. In the Nile Basin, poor people live further away from water sources than the wealthy, which forces them to travel longer distances to collect water. Women that are responsible for collecting water for their households and smallholder farmers who rely on rainwater to irrigate their crops would therefore benefit from policies that give them greater access to water in the Nile Basin. 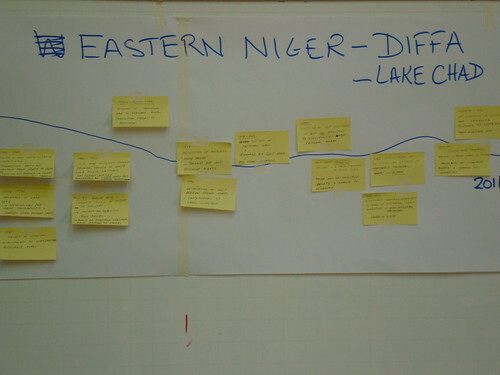 Improving governance, especially coordination among Nile Basin country governments, is another crucial aspect of ensuring that the poor benefit from the basin’s water resources. The book argues that the establishment of a permanent, international body—the Nile Basin Commission—to manage the river would play a key role in strengthening the region’s agriculture, socio-economic development and regional integration. For more information, visit the website of the Challenge Program on Water and Food. The Nile River Basin: Water, Agriculture, Governance and Livelihoods is available for purchase from Routeledge as of 5 Nov 2012. IWMI’s Addis Ababa office is donating 300 copies of the book to local water managers, policymakers and institutions in Ethiopia and elsewhere in the region. If you are interested in receiving a copy please contact Nigist Wagaye [at] n.wagaye@cgiar.org. Alan Duncan is a livestock feed specialist at the International Livestock Research Institute (ILRI) and joint Basin leader of the Nile Basin Development Challenge Programme (NBDC). 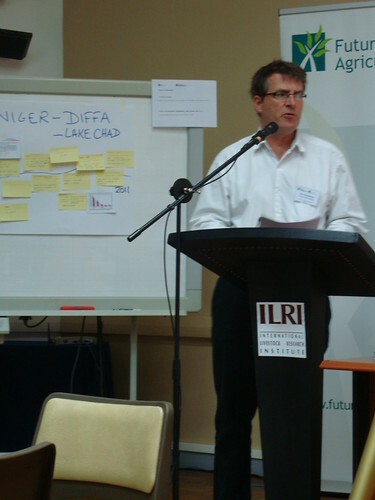 Duncan joined ILRI in 2007 coming from the Macaulay Institute in Scotland. He has a technical background in livestock nutrition but in recent years has been researching institutional barriers to feed improvement among smallholders. Livestock-water interactions are a key issue in Ethiopia, particularly in relation to competition for water between livestock feed and staple crops. This is a core research topic for the NBDC and Duncan has built on pioneering work in this field led by ILRI’s Don Peden. Duncan manages a range of research for development projects and acts as ILRI’s focal point for the CGIAR Research Program on Integrated Systems for the Humid Tropics. On the last day (23 March 2011) of a ‘Future of Pastoralism in Africa’ Conference, organized by the Future Agricultures Consortium and the Feinstein International Center at Tufts University and held in Addis Ababa, Ethiopia, at the International Livestock Research Institute (ILRI), pastoralist experts took the conference participants through timelines that they had drawn up for selected pastoralist areas. These hand-drawn timelines—with their famous place names and (in)famous droughts, wars and other major events variously, simply and affectingly sketched lightly on flipchart papers pasted to the walls of the conference hall—must have evoked memories, some of them heart-breaking, all of them heartfelt, in all but the youngest academic in the room. This was Africa’s pastoralist past—laid out in its crudest essentials on linear temporal bars punctuated by shorthand notes denoting big, often cataclysmic, events. 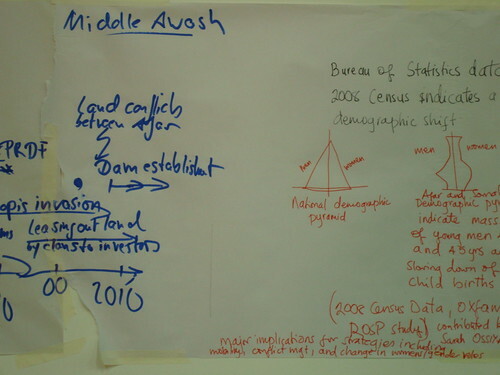 This was an exercise meant to make room for rethinking the future of African pastoralism. Examples of the kinds of statements made about the timelines (their baldness often matching the events they described) by the pastoralist ‘gurus’ who stood, one by one, to highlight a handful of major events depicted in each, follow. Conflicts, diseases, droughts, geopolitical influences, land and land-use issues, national policies. International issues, mobile phones, political representation, small towns, terrorism (and its impacts on aid). 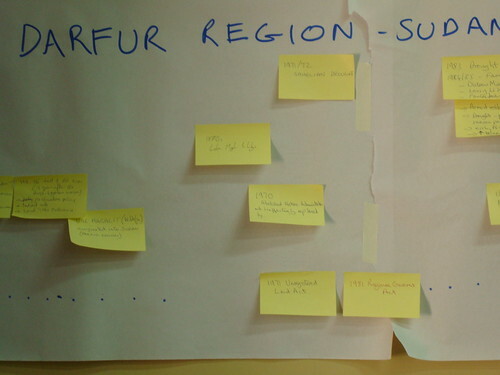 After the timelines were described, some participants were asked to sum up the conference. The following are some of the things they said. ‘Is there really such a thing as “pastoralist systems”? . . . Are we talking about pastoralism as a livelihood or as an identity? . . . Some are saying that pastoral women will drive pastoral futures. . . . We have to stop adding gender as a footnote. . . . It’s time to mainstream gender into pastoralist issues instead of “siloing” gender work’. Two of the conference organizers then closed the proceedings by making some acknowledgements, of which the following were included. ‘In the early 1980s, pastoral groups were weak and arguments for pastoral rights appeared nostalgic in tone and character. . . . A tremendous intellectual contribution to pastoralism in the years since has helped to transform pastoralist discourse at all levels. . . . Some of the “masters” of this discourse are here in this room today. . . . Stephen Sandford (private), Jeremy Swift (freelance), Ian Scoones (Future Agricultures Consortium) and Roy Behnke (Odessa Centre) have altered the intellectual foundations of our understanding of pastoralism. . . . 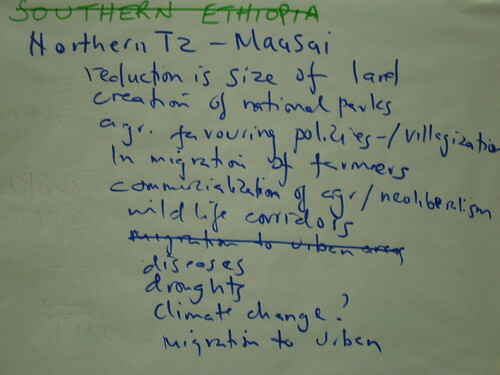 The future of pastoralism in Africa debated in Addis: Irreversible decline or vibrant future?, 21 March 2011. Climate change impacts on pastoralists in the Horn: Transforming the ‘crisis narrative’, 22 March 2011. Or visit the Future Agricultures Consortium website conference page or blog. ILRI is working with insurance companies to train livestock herders in Kenya’s northern drylands in the benefits and costs of a new index-based livestock insurance first made available in Marsabit District in 2010 (photo credit: ILRI/Mude). On the second day of a ‘Future of Pastoralism in Africa’ Conference, being held this week (21–23 March 2011) in Addis Ababa at the campus of the International Livestock Research Institute (ILRI), a panel session focused on new approaches for strengthening pastoralist livelihoods and social protection. With decades of food aid delivery having demonstrably failed to significantly improve the livelihood prospects of Africa’s poorer pastoralists, aid agencies and governments alike are rethinking their approaches to ways of delivering aid to pastoralists. But do safety net schemes serve as life-savers or do they lock destitute pastoralists into unsustainable livelihoods? 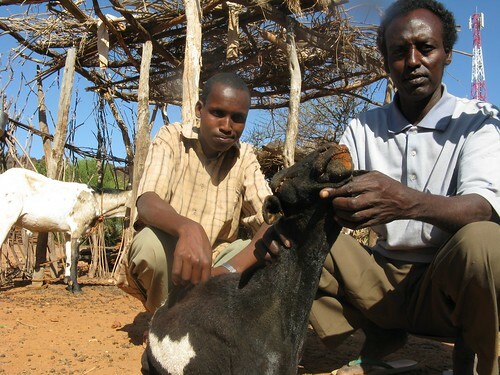 Should donors and governments help destitute pastoralists exit pastoral livelihoods? Should they help provide livestock insurance schemes? 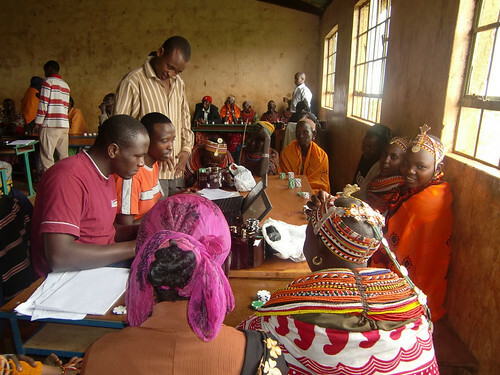 Andrew Mude, an ILRI scientist, spoke about an index-based livestock insurance innovation that has been instituted, in partnership with UAP Insurance and Equity Bank, for pastoral herders in Marsabit District, in northern Kenya’s great drylands. This is the first insurance ever offered the Samburu, Gabra, Rendille, Borana, Turkana and other traditional herders here, who cope with variable weather by traditionally moving their stock to find new grazing when the grass in a given area is finished. The risk covered by this insurance is periodic drought that dries up the natural rangeland vegetation, which supplies most of the feed for the pastoral cattle, sheep, goats and camels of the region, leading to many livestock deaths. Insurance payouts are made, to those who have bought annual insurance contracts, when the available forage in Marsabit District in that year drops below a level at which more than 15 per cent of the livestock would be expected to perish from starvation. Before the ILRI team could convince commercial companies that this is a viable product, they had to convince the prospective pastoralist clients of that. So ILRI researchers invented insurance games that help livestock herders understand what the insurance covers, and what it does not, and when insurance payouts will be made, and when they will not. In the meantime, Mude’s team is monitoring the effectiveness and impacts of livestock insurance in Marsabit by following 900 households, which they first interviewed in 2009 and then again last year; they’ll continue to monitor these households over the next four years to determine if the product should be made more widely available. The next expert to speak was Stephen Devereux, who leads a pilot Hunger Safety Net Program providing cash transfers to the people in northern Kenya’s chronically food insecure areas of Mandera, Marsabit, Turkana, Wajir districts. The payments are designed to meet basic subsistence needs. The program uses the local private sector—banks and shops—to deliver the cash to the local people. The Hunger Safety Net Program aims to provide social assistance, insurance and justice. The first thing Devereux’s team had to consider was whether the program’s social protection should address poverty or vulnerability. The conventional way to define poverty is lack of resources, while vulnerability is characterized by uninsured risk and marginalization is a matter of lacking a voice in decision-making. The rates of both poverty and hunger in these districts are high. Only the rich eat three times a day. Middle-income families eat just twice a day, the poor only once a day, and the very poor sometimes do not eat at all in 24 hours. Food aid is the conventional response to prolonged drought in these as well as other pastoral areas. But food aid is not enough, and tends to be diluted through sharing. The nutritional status of children in drought-afflicted districts, moreover, was found to be alarming in 2006, for example, a full year following a drought and despite massive injections of food aid. Among the design challenges of this social assistance is how to best target those to receive this aid: are women, for example, more responsible as well as more vulnerable? Conflicts occurring between pastoralist communities in this region are a great problem, and the food price crisis is also hurting the efficacy of this program, which can no longer provide sufficient cash to maintain adequate nutritional levels. Another worry is that the program may be trapping people in unviable livelihoods while they wait to receive benefits (some families might be better off exiting pastoralism altogether). The future of pastoralism in Africa debated in Addis: Irreversible decline or vibrant future? 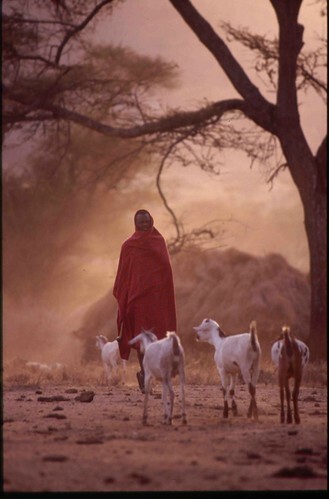 A Maasai man takes his goats out in the early morning for a day’s grazing in northern Tanzania (photo credit: ILRI/Mann). An international conference deliberating the future of pastoralists in Africa is taking place this week (21–23 March 2011) at the Addis Ababa, Ethiopia, campus of the International Livestock Research Institute (ILRI). Big changes are occurring in, and to, Africa’s vast pastoral regions. Livestock herders’ access to resources, options for mobility and opportunities for marketing are all evolving fast. Is there, the organizers of this conference ask, opportunity for a productive, vibrant, market-oriented livelihood system or will pastoralist areas remain a backwater of underdevelopment, marginalization and severe poverty? The Future Agricultures Consortium, an alliance of agricultural development researchers and practitioners that facilitates policy dialogues and debates on the role of agriculture in broad-based African growth, and the Feinstein International Center at Tufts University, which also has a mixed staff of development researchers and practitioners, have jointly organized this conference to share new learning about ongoing change and innovation in Africa’s pastoral areas. One of the aims of the conference organizers is to shift the crisis narrative that so often dominates news and discussions of pastoralists in Africa. As noted on the Future Agricultures Consortium website: ‘Frequently depicted as in crisis, pastoralists are changing the way they live and work in response to new opportunities and threats revealing the resilience that pastoralists have demonstrated for millennia. Accessing new markets and innovating solutions to safeguard incomes, this often misunderstood and marginalised community is re-positioning itself to make the most of the East African economy. . . .
‘The pastoralist way of life—synonymous with irreversible decline, ‘crises’ and aid rescues—is poorly understood. And whilst the words ‘pastoralism’ and ‘crisis’ have become fused in the minds of many, there are positive signs of vibrant pastoralist livelihoods that debunk the usual reportage of pastoralists depicted as insecure, vulnerable and destitute. . . .
‘Failed by generations of unsuccessful state development plans and aid strategies, pastoralists have been let down because the real problems and issues they face have not been taken into account. 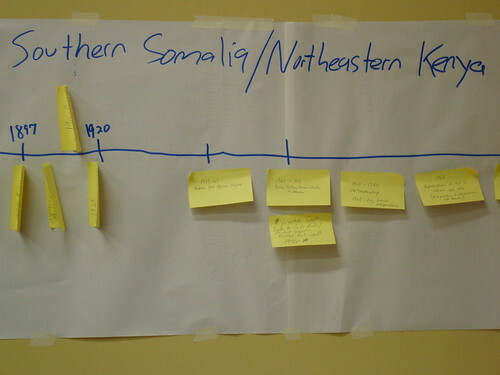 A more accurate understanding of the processes of change happening within pastoralist areas, which are significant and complex, has been obscured by the perpetuated myths of pastoralism in crisis. The new research and practical experiences being shared at this conference are on the following hot topics in academic and development research. Researchers, policymakers, field practitioners and donor representatives at this conference are assessing the present and future challenges to African pastoralism so as to begin to define new research and policy agendas. As the board of trustees of the International Livestock Research Institute (ILRI) meets in Addis Ababa, Ethiopia, this week, reviewing ILRI’s animal health research among other work, an ILRI vaccine project is highlighted in a new publication, DFID Research 2009–2010: Providing research evidence that enables poverty reduction. The UK Department for International Development (DFID) and the Bill & Melinda Gates Foundation both support the Global Alliance in Livestock Veterinary Medicines (GALVmed), which works to convert existing or near-market technologies into livestock medicines and vaccines for use in developing countries. 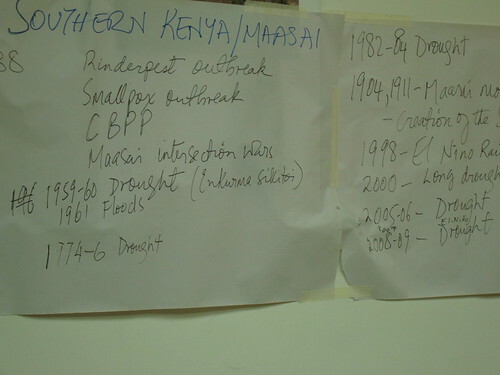 The notable success of this strategy in 2009, says DFID, is an East Coast fever vaccine produced by ILRI. East Coast fever is a tick-transmitted disease that kills one cow every 30 seconds in eastern, central and southern Africa, where it threatens some 25 million cattle in 11 countries and is now putting at risk a further 10 million animals in new regions, such as southern Sudan, where the disease has been spreading at a rate of more than 30 kilometres a year. The disease is a major cattle killer. In herds kept by the pastoralist Maasai, it kills 20–50% of all unvaccinated calves, which makes it difficult and often impossible for the herders to plan for the future or to improve their livestock enterprises. A vaccine for East Coast fever could save over a million cattle and up to £170 million a year in the 11 countries where the disease is now endemic. An experimental vaccine against East Coast fever, which makes use of live but weakened parasites, has existed for more than three decades, with batches mass produced in ILRI’s Nairobi laboratories. Although constrained by the need for a ‘cold chain’ to keep the ‘live’ vaccine viable, field use of this vaccine in Tanzania and elsewhere has proved it to be highly effective and in demand by poor livestock keepers, who are paying for the vaccine to keep their animals alive. GALVmed has worked with ILRI and private companies, such as VetAgro Tanzania Ltd., to make East Coast fever vaccine available to the livestock keepers who need it most and to scale up production in future. With £16.5 million provided by DFID and the BMGF, GALVmed began working on the registration and commercial distribution and delivery of a new batch of the vaccine produced by ILRI. The vaccine was successfully registered in 2009 in Malawi and Kenya, with Tanzania and Uganda expected to follow soon. If it is approved in Uganda, it will be the first veterinary vaccine formally registered in that country. GALVmed is now working to establish viable commercial production and delivery systems, aiming that by the end of 2011, all aspects of the production and delivery of East Coast fever vaccine are in private hands. At a reception at the National Palace in Addis Ababa, Ethiopia, following a â€˜Dialogue on Agricultural Development in Ethiopiaâ€™ on 12 November 2009, Ethiopiaâ€™s president, H.E. 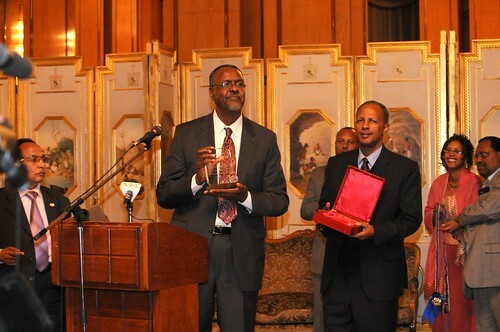 Ato Girma Woldegiorgus, bestowed his countryâ€™s highest award for achievement on Prof Gebisa Ejeta, an Ethiopian-born sorghum breeder and recent World Food Prize Laureate. In response, Prof Ejeta announced that he will use his USD250,000 World Food Prize award to establish a foundation that will help meet the educational needs of Ethiopian and other African children and to establish an annual dialogue in honour of his friend and mentor, Dr Berhane Gebre-Kidan, formerly of Ethiopiaâ€™s Alemaya College of Agriculture. At his Palace reception, Ejeta was visibly moved by his countryâ€™s honour. He then went on to make a second announcement. The 2009 World Food Prize was presented to the Ethiopian-born plant scientist, now an American citizen conducting research at Purdue University, in ceremonies in Des Moines, Iowa, on 15 October 2009. The prize, which comes with a USD250,000 award, is given annually to people who have helped address the worldâ€™s food needs. This yearâ€™s prize honours Ejetaâ€™s life-long work to improve the production of sorghum, one of the worldâ€™s most important grain crops. It also honours his efforts to make his discoveries matter to the farmers who need them the most. Ejetaâ€™s desire to help others is rooted in his own childhood poverty. He grew up in a one-room thatched hut in rural Ethiopia. His motherâ€™s commitment to his education helped make him a standout. Poor as she was, she found a place for Ejeta to study, and a place to stay, in a town 20 kilometres away. Ejeta walked there. He studied there. He worked hard there. He excelled there. Ejeta has spent his entire professional life in research to reduce threats to Africaâ€™s food crops. He applied his talents to fighting a weed called Striga, or witchweed, which threatens crops that feed more than 100 million people across sub-Saharan Africa. Ejeta says the parasitic weed can ruin fields of sorghum, a major staple in hot, dry regions of Africa. Researchers had tried for years to control the weed without much success. Its seeds can lie dormant in the soil for decades. But Ejeta and his team at Purdue University discovered the chemical signals produced by the sorghum plant that â€˜wakes upâ€™ the Striga seeds. They then found sorghum varieties that didnâ€™t produce the signals, and bred a line of Striga-resistant plants that thrived in a broad range of African growing conditions. These new varieties produced up to four times more grain than local types, even in drought-plagued areas. With this research breakthrough, Ejeta immediately set about ensuring that his disease- and drought-resistant varieties were made available to the African farmers who needed them most. Once the new variety was developed in 1994, he worked with non-profit groups to distribute eight tons of seed to twelve African nations. Carrying research to the next level is typical of Gebisa Ejeta, who has always understood the importance of getting technology into the hands of African farmers. Just out of graduate school, he bred a high-yielding, drought-tolerant variety of sorghum. When the new hybrid variety was introduced in 1983, Ejeta worked with Sudanese farmersâ€™ cooperatives to scale up production of his drought-resistant sorghum. Today, Ejeta is working with local partners to connect brewers, bakers, and flour millers with farmers growing the improved sorghum. By working along the entire chain, from farmersâ€™ seeds to consumersâ€™ plates, his work is helping to lift people out of povertyâ€”and providing a powerful weapon in the war on hunger. The 12 November 2009 â€˜Dialogue on Agricultural Development in Ethiopiaâ€™ was organized by the Ethiopian Ministry of Agriculture and Rural Development in Ejetaâ€™s honour. Supported by the International Livestock Research Institute and other organizations, the Dialogue was opened by H.E. Ato Girma Woldegiorgis, President of the Federal Republic of Ethiopia. In his presentation, Prof Ejeta spoke about Ethiopiaâ€™s role in enhancing science-based development in Africa. Whereas most African governments have invested too little to create impact, he said, Ethiopia is an exception. He extolled two great examples of technology transfer in Ethiopia: the Chilalo Agricultural Development Unit in 1970s and the work of Sasakawa Global 2000 in 1990s. â€˜Neither,â€™ he said, â€˜was sustained.â€™ Why not? 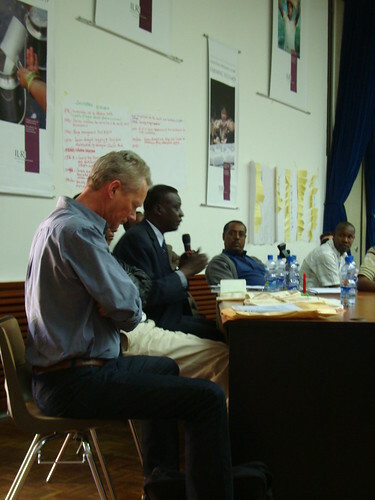 â€˜I am defined,â€™ Ejeta said, â€˜by the modest background that I come from and the great education that I have received in both Ethiopia and the United States.â€™ In his experience, he said, both Alemaya College of Agriculture and Purdue University shared a â€˜land grant university modelâ€™ that takes the results of research and delivers it to communities. Ejeta advised the Ethiopian agricultural research-for-development community to â€˜Loosen up, be open and take risksâ€™ and to focus on three things: accelerating technological development, investing in institutions and pushing for policy and ownership. Fittingly, the person whose remarks closed the Dialogue was Prof Ejetaâ€™s mentor, Dr Berhane Gebre-Kidan, who had attended the October World Food Prize ceremony in Iowa, where he watched his protÃ©gÃ© be honoured. Recalling that Ejeta had attended Jimma Agricultural Technical University, Alemaya Agricultural University and then Purdue University, Gebre-Kidan said that each of these institutions shared the land grant philosophy, which combines education, research, and extension, all involved in the development of its local communities. It appears from Gebisa Ejetaâ€™s announcement at Ethiopiaâ€™s National Palace that that â€˜regular dialogueâ€™ is about to begin. Support for the Dialogue honouring Prof Ejeta was provided by the Ethiopian Government as well as the Alliance for a Green Revolution in Africa, the Canadian International Development Agency, the International Development Research Centre (Canada), the International Livestock Research Institute, the Japanese International Cooperation Agency, OXFAM America, OXFAM Great Britain and the United States Agency for International Development. For more information about Prof Gebisa Ejeta, go to: World Food Prize Laureate. Principal investigators undertaking research on livestock use of water in the Nile River Basin met at ILRI in Ethiopia on 11 and 12 November 2009. Representatives from Sudanâ€™s Agricultural Economics and Policy Research Center, Makerere University in Kampala, and the Ethiopian Institute of Agricultural Research shared experiences of promising technologies and policy innovations that can enable millions of poor livestock keepers and farmers to enhance food production and livelihoods and reverse land degradation throughout vast Nile region. Ethiopia, Sudan, and Uganda are very different countries but together they exemplify the major and diverse cropping and livestock keeping practices found in the Nile region. Rainfed crop and livestock production are dominant, but irrigation is locally important. In all cases, the researchers concluded that there are huge opportunities to use water resources more effectively and productive for agricultural production. The key appears to be integrated inter-institutional collaboration with coherent policy aimed at increasing livestock water productivity through use of water efficient animal feeds, water conservation, adoption of state-of-the-art and available animal science knowledge. Application of off-the-shelf science based outputs potentially enables environmentally sustainable increases in food production, improved domestic water, and better livelihoods. Much of the water required to achieve these benefits can come from rainfall that currently does not enter the Nileâ€™s lakes and water course and does not sustain the natural environment. In other words, this is water for which there is often relatively little competition among diverse water users. The researchers are synthesizing results from investigation undertaken in the basin. It was supported by the CGIAR Challenge Program on Water and Food (www.waterandfood.org). At a meeting of the CGIAR in Morocco last December, ILRI reported on community-focused research in Central and Western Asia and North Africa to improve agriculture, water, ruminant health and market opportunities for poor farmers and marketers.